Wondering what’s there to do this spring in the Phoenix area? Look no further. A grand total of 60 festivals, including the Arizona Renaissance Festival, the Heard Museum Guild Indian Fair & Market, the Chandler Chamber Ostrich Festival, the Pot of Gold music festival, the Pinal County Fair, the Salsa Festival and the Arizona Dragon Boat Festival in March; the Phoenix Film Festival, the Gilbert Global Village Festival and Scottsdale Culinary Festival in April. 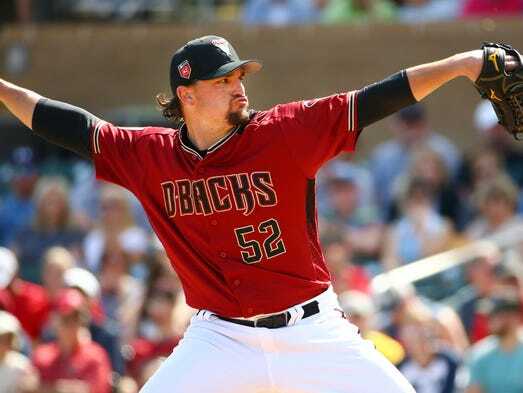 Spring in Arizona means perfect weather, day drinking and, of course, baseball. Spring training draws huge crowds each year to one of the 10 statewide stadiums and 15 Major League Baseball teams. Tempe Diablo Stadium, where the Los Angeles Angels of Anaheim train, and Sloan Park, home of the Chicago Cubs and Colorado Rockies, are ideal for ASU students on the Tempe campus. One of the most popular venues is Scottsdale Stadium, where San Francisco Giants play, because it’s in the heart of downtown Scottsdale. Most of the stadiums have dirt-cheap lawn or bleacher seats, and it’s even cheaper to go during the week. It comes every year, and it’s one of the largest renaissance festivals in the U.S. — the Arizona Renaissance Festival. Families can enjoy food, drinks, shows, the festival marketplace and jousting. 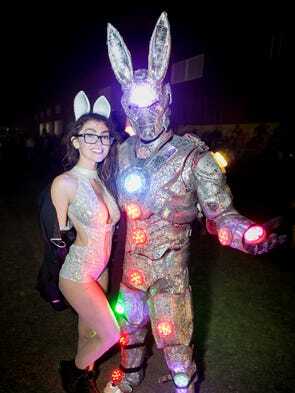 Turkey legs, costumed characters and the final tournament are always highlights. Tolleson will host its Latin Jazz & Mariachi Street Festival at Paseo de Luces in downtown Tolleson on Van Buren Street from 91st to 94th avenues. The weekend will feature a variety of jazz and mariachi performers with performances by Jaleo, Sonora Dinamita, Mariachi Sahuaritos, Mariachi Azteca de Oro, Mariachi Fuego and more. Food trucks, craft vendors, a free kid’s zone and a car show make this a weekend of fun for the entire family. Kids can make an instrument in the kid’s zone or be entertained with arts and crafts, karaoke and participate in contests. The Heard Museum is set to welcome more than 600 Native artists chosen through a juried selection process and over 10,000 guests for the 60th Annual Heard Museum Guild Indian Fair & Market. This family-friendly event showcases American Indian artists’ work and gives guests a chance to buy one-of-a-kind pieces and meet the artists. The event also will feature performances by Jay Begaye, Tony Duncan, the Cha’Bii’Tu Apache Crown Dancers, William Eaton and more. Kids can enjoy crafts and storytelling by children’s author Violet Duncan and the Kehewin Native Dance Theatre. Details: March 3-4. 9:30 a.m.-5 p.m. Saturday and 9:30 a.m.-4 p.m. Sunday. Early admission 8:30 a.m. Saturday for museum members. Heard Museum, 2301 N. Central Ave., Phoenix. $20 for non-museum members, $15 for museum members in advance and $10 for American Indians, students ages 17 and older and retired and active military. Free for children 16 and younger. 602-252-8840. The 30th Annual Chandler Chamber of Commerce Ostrich Festival announces Grammy award-winning American funk and rhythm and blues band Kool & The Gang to headline the festival on the Main Stage on Friday, March 9. 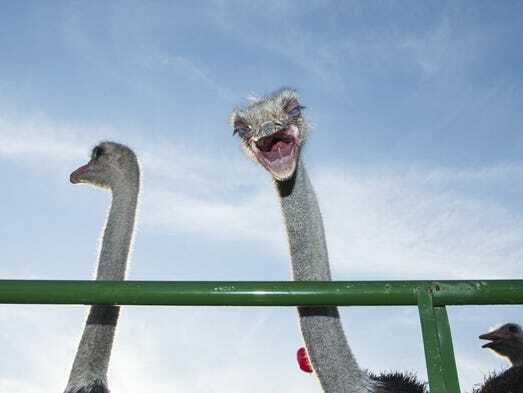 The Ostrich Festival is a community event featuring live ostriches and ostrich-themed activities, national and regional entertainment, carnival midway, spectacular food, upscale arts & crafts and much more. Details: March 9-11. 2 p.m.-midnight Friday, 10 a.m.-midnight Saturday and 10 a.m.-11 p.m. Sunday. Tumbleweed Park, 745 E. Germann Road in Chandler. $15 for adults and $8 for children 5-12 and seniors. Free for children younger than 5. VIP packages available. $5 car parking; $3 motorcycle parking. This annual three-day fundraising event brings the best in visual, performing and culinary arts to Scottsdale Civic Center Park. The event features 170 jury-selected artists from throughout the United States and Canada, continuous live music and entertainment on two stages, gourmet food trucks and vendors, creative activities for kids at the Community Art Studio family area, free admission to Scottsdale Museum of Contemporary Art (SMoCA) and more. Shemer Art Center will celebrate sustainability with 10 tiny homes on display, micro gardening, micro art and micro brews. Activities will include demonstrating artists, workshops, live music, food and business vendors and kids activities. Art Detour is a guide to the arts and culture of Phoenix at which people get the opportunity to discover the myriad of downtown art spaces. Visitors can meet artists in their working environment; take self-guided tours of more than 100 artist studios, galleries and other venues; and take part in performances and activities. Along with pop-up galleries and docent-guided shuttles, there will also be a “Kids’ Detour” featuring family-friendly activities. Details: March 15-20. Art D’Core Gala: 6-9 p.m, Thursday. Single tickets $20, pair tickets $30. Warehouse215 at Bentley Projects, 215 E. Grand St., Phoenix. Art Detour: Gallery hours vary, shuttles run 11 a.m-5 p.m. Friday-Sunday in downtown Phoenix. Free. Roots n’ Boots returns for its weekend event featuring a PRCA pro rodeo, community barrel roping and sorting competitions, a carnival, live entertainment, vendors, a rodeo dance and numerous free family activities for all ages. 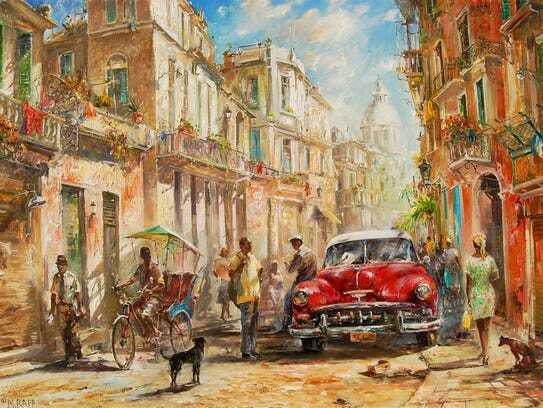 Carefree’s signature event will feature Russian artists AkZhana Abdalieva and Maxim Maximov, who specialize in oils and capture focus on symbolism expressionism. This festival has 150 juried world-class artists displaying artwork in a variety of mediums. For $10, guests can enjoy wine tastings, ice-cold microbrews and rum sampling. Details: March 16-18. 10 a.m.-5 p.m. Friday-Sunday. Downtown Carefree. $3, $10 for wine-tasting ticket with souvenir glass. 480-837-5637. Lucky Man Concerts has announced the dates for Pot of Gold 2018, which returns to Rawhide Events Center. Friday’s lineup features Russ, Dej Loaf, PNB Rock and others. Saturday has Phil Lesh & the Terrapin Family Band, Sturgill Simpson and more. Sunday is the day you can see Rebelution, Dirty Heads and other bands. Details: March 16-18. Noon-midnight Friday-Sunday. Single-day tickets: $75 for Friday and Sunday; $100 for Saturday. Two-day passes: $135-$155. Three-day passes: $220. VIP tickets: $230-$345 for one day; $430 -$545 for two-day passes; $699 for three days. Rawhide Events Center, 5700 W. North Loop Road, Chandler. For those fascinated with the Valley’s mid-century modern architecture, this is a must-do event. Modern Phoenix Week is 10 days of tours, education and events. The signature home tour features homes in Marion Estates and the surrounding Camelback foothills area. 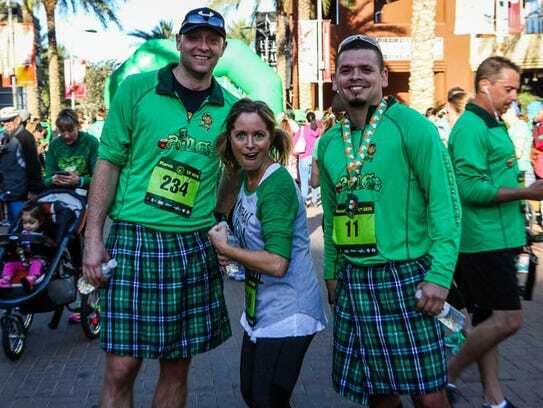 This St. Patrick’s Day festival in downtown Chandler includes music from headliner Alien Ant Farm, live entertainment, Irish dancers, bagpipes, traditional Irish food, festive games, a VIP tent, a family-friendly activity zone and a beer-cocktail garden. Spark! Mesa’s Festival of Creativity celebrates the imaginative spark in everyone. The free annual event showcases Arizona artists and performers. It features live music, performances, hands-on experiences, live art-making, installations, demonstrations and more. Details: March 17-18. Noon-11 p.m. Saturday and 10 a.m.-5 p.m. Sunday. Mesa Arts Center, One East Main St., Mesa. Free. Gardening newbies, folks with serious green thumbs and everyone in between will definitely find plenty of plant-based inspiration at the Desert Botanical Garden Spring Plant Sale. The event features more than 30,000 plants for sale, including perennials, cacti, succulents, shrubs and herbs. The nighttime version of Mesa’s creativity festival is just as much fun. Explore craft projects and interactive displays while enjoying live performances. Beverages, beer and wine are available for purchase. Food trucks will be on hand for visitors to grab a bite to eat. See website for details on each evening’s theme, which changes monthly. WestWorld will transform into a family-friendly, outdoor enthusiast’s wonderland during the Scottsdale International Sportsmen’s Expo & Arizona Boat Show. Now in its 18th year, the event features hands-on activities, boats and RVs and exhibits on gear, guides and services for campers, boaters, anglers, hunters and more. A watersports pond with wakeboarding, kayak and SUP demos promises to be a fan fave. Details: March 22-25. 10 a.m.-7 p.m. Thursday-Saturday and 10 a.m.-5 p.m. Sunday. WestWorld of Scottsdale, 16601 N. Pima Road, Scottsdale. $12, free for ages 15 and younger. $5 per car to park. Stroll through elegant art displays while enjoying the town’s famous fountain. In addition to the show, take time to visit the surrounding specialty shops, boutiques, galleries, restaurants and outdoor cafes. Details: March 23-25. 10 a.m.-5:30 p.m. Mill Avenue between Third Street and University Drive, Tempe. Free. This free family-friendly event includes aircraft flyovers, food and music, as well as Impala Bob’s Classic Car Show. Children’s activities, educational programs and exhibits will be part of the day’s event. Canned food donations will benefit the United Food Bank. A casual backyard-barbecue atmosphere permeates at the Great American Barbecue and Beer Festival in Chandler. 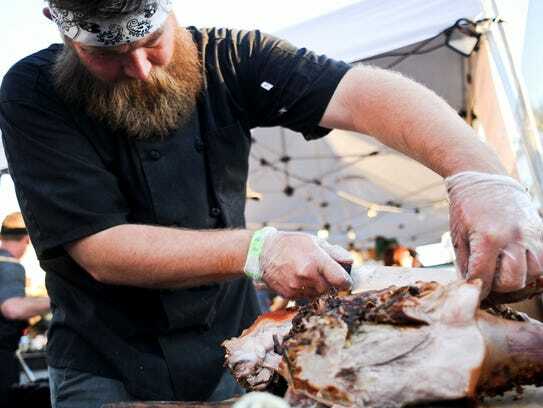 This year will host more than 100 exhibitors, four stages and more than 40 pit masters from across the nation serving up more than 20,000 pounds of mouth-watering pork ribs, pulled pork, brisket and chicken, all paired with the state’s finest craft beer. This year’s full day of country music will include performances by Easton Corbin, Georgia Chrome and Laura Walsh with special guests The Deep Down and Good Rust. Details: March 24. 2 p.m.-8 p.m. Salsa tastings until 6 p.m. Copper Sky Regional Park, 44345 W. Martin Luther King Jr. Blvd., Maricopa. Free. $5 for ages 3 and older for playtime in Little Pepper Zone. $5 parking. Free shuttles are available from local elementary schools. Details: March 24. 10 a.m.-6 p.m. CityScape, 1 E. Washington St., Phoenix. $10, free for younger than 3. The Italian Festival brings Italian culture, food and fashion to Scottsdale for its biggest year yet. Taking place at the Scottsdale Civic Center, this two-day event features everything from live music and unique, hand-crafted Italian items, to wine tastings, authentic Italian cuisine and artists straight from Italy. Cheer on your favorite colorfully decorated boats as they zip through the water at Tempe Town Lake. Teams will be on hand from across the U.S. and world, racing and honoring a 2,000-plus year tradition. The 15th annual dragon boat festival also features live entertainment. Details: March 24-25. 8 a.m. Tempe Town Lake Marina, North Shore, 550 E. Tempe Town Lake, Tempe. See wildlife, fish and learn archery in a safe, supervised environment on the range. Instructors will also guide attendees through specialty shooting disciplines such as clay target, cowboy action, practical pistol, black powder and air gun. After the sports, watch a cowboy-mounted shooting competition and check out more than 150 exhibitors. Details: March 24-25. 9 a.m.-5 p.m. Saturday and 9 a.m.-4 p.m. Sunday. Ben Avery Arizona Shooting Range Facility, 4044 W. Black Canyon Blvd., Phoenix. Free. Everyone is welcome at Anthem Days, a family-friendly event that features an egg hunt, food and craft vendors, a business expo, live entertainment, a carnival and more. Details: March 24-25. 10 a.m.-4 p.m. Anthem Community Park, 41703 N. Gavilan Peak Parkway, Anthem. Free. Wet your whistle while celebrating Sonoran roots. The evening event features cuisine prepared by Valley restaurants, margaritas in a glowing glass and a tequila-sampling station. There will also be a variety of live music. Details: March 30. 6-10 p.m. Desert Botanical Garden, 1201 N. Galvin Parkway, Phoenix. $75; $70 for members. 480-481-8188. The ASU band practice field will transform into the site for the 32nd annual Pow Wow at ASU. Come watch the grand entry, gourd-dancing ceremony and various dances, including Northern Traditional, Fancy Dance, Contemporary Jingle and more. Native American artists will have arts and crafts for sale. Details: March 30-April 1. Gourd dancing 5:30 p.m. Friday and Saturday, 11:30 a.m. Saturday and Sunday. Grand entry 7 p.m. Friday, 1 p.m. and 7:30 p.m. Saturay and 1 p.m. Sunday. ASU Band Practice Field, East Sixth Street and South Rural Road, Tempe. $20 three-day pass; $8; $6 for students; free for ages 6 and younger, ages 60 and older. 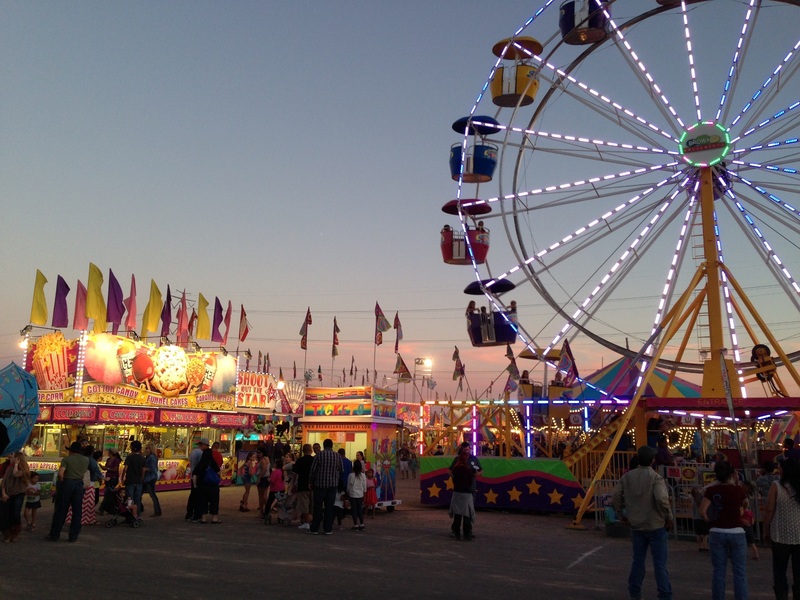 The Yuma County Fair features entertainment for the entire family including concerts, 4-H and FFA exhibits, commercial vendors selling their wares, a demolition derby, carnival, livestock show and auction. More than 175 features and shorts from local, national and international filmmakers will be screened at this cinematic celebration. Visit the website for complete times and listings. Enjoy a spectacular weekend of great jazz in a variety of outdoor and indoor venues at the 19th annual Chandler Jazz Festival. A blanket or lawn chair is suggested for the outdoor shows. Also wander around downtown Chandler to visit the shops, restaurants and galleries. This antique and handmade-item flea market features approximately 100 parking spaces filled with antiques, collectibles, furniture and jewelry. Details: 9 a.m.-3 p.m. Saturday, March 3, and Saturday, April 7. Big Surf Waterpark, 1500 N. McClintock Drive, Tempe. $3 general admission. Free for children 12 and younger. The city is teaming up with the Peoria Unified School District to present a day of performances and activities. Highlights include student art displays, a children’s area, live performances, craft activities and food trucks. Several local restaurants will be on hand at the Taste of Surprise, an event that highlights some of the best foods in the West Valley. Featured restaurants will include Booty’s Wings Burgers & Beer, Red Embers Bar & Grill and Peoria Artisan Brewery. Check out the wine and beer garden and enjoy live music. Details: April 7. 4-9 p.m. Surprise Stadium, 15850 N. Bullard Ave., Surprise. $40 online through April 6; $50 at the gate. With nearly 2,000 cyclists of all ages and abilities competing in various distances, the tour is the centerpiece of CycloMesa, a three-day celebration that includes the El Tour Criterium (short-course races on city streets), the Arizona Bicycling Summit, a beer garden, food-truck alley and live music. Try out canoes, kayaks and stand-up paddleboats, as well as contests, games, live music, clinics and demonstrations. Vendor booths will be on hand with information and items for sale. The Phoenix Pet Expo is the ultimate pet event. Highlights include pet-friendly exhibitors and rescue groups, obedience training and pet-care demonstrations, prizes and giveaways, product discounts, talent and costume contests, vendors, complimentary nail trims, discounted vaccinations, adoptable animals and more. Pets welcome. Attend this open-air electronic music festival to see artist such as Diplo, Gucci Mane, Martin Garrix and Travis Scott. VIP packages include preferred seating and VIP entrance, 2 drink tickets, complimentary hors d’oeuvres and catered food and premium views of the main stage. More than 2,000 participants, including those with decorated vehicles and colorful floats are expected for the parade, which starts on Third Street at Thomas Road and heads north to Indian School Road. More than 150 entertainment performances on five stages, more than 300 exhibitors and food vendors will be on hand for the festival. The Arts Expo, KidSpace and Dance Pavilions are some of the highlights. This event raises funds for Phoenix Pride Community Programs. The annual Copperstate 1000 vintage-car rally spans more than 1,000 miles of scenic Arizona from April 7-11. The cars and drivers get their start at Tempe Diablo Stadium, where the public can see the participating hot rods, sports cars and classics before the vehicles start heading out on their journey at 9:30 a.m. True to its agricultural roots, the fair includes a livestock show with pigs, sheep, goat, cattle, rabbits and chickens. But it also has thrill rides, fried foods, carnival games, performances and a shopping pavilion with more than 60 vendors. 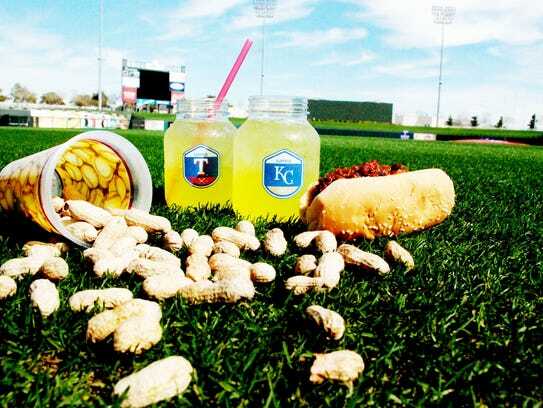 Food choices include fried coffee, deep-fried Oreos and Twinkies and mac-and-cheese hot dogs. Details: April 11-15. 10 a.m.-10 p.m. Wednesday, Thursday and Sunday; 10 a.m.-midnight Friday and Saturday. Arizona State Fairgrounds, 19th Avenue and McDowell Road, Phoenix. $9; free for ages 7 and younger. Hop on your motorcycle and help celebrate Arizona Bike Week. 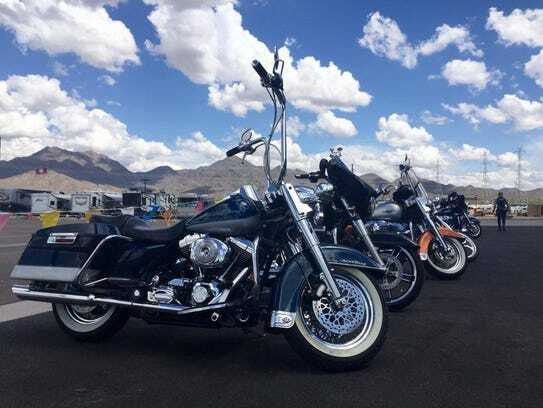 Get together with fellow “sons of anarchy” for the biggest bike rally in Arizona, featuring vendors, shows and concerts from Collective Soul, Chevelle, Shinedown and ZZ Top. Events include stunt shows, charity rides, an awards presentation, flat-track racing and motorcycle drill teams. Bikefest celebrates all things motorcycle with a four-day event featuring demos, live entertainment and group rides. Every day of the event, the top bike brands in the industry will hold demo rides of their latest motorcycles. More than 100 vendors will sell biker-related clothing, motorcycle accessories and design products. Details: April 12-15. 10 a.m.-9 p.m. Thursday, Friday and Saturday; 10 a.m.-3 p.m. Sunday. Demo hours: 10 a.m.-5 p.m Thursday, Friday and Saturday; 10 a.m.- 3 p.m. Sunday. Peoria Sports Complex, 16101 N. 83rd Ave., Peoria. Free. Celebrate cultural traditions from around the world at this family-friendly event. See traditional and contemporary forms of dance, music and art while tasting ethnic foods. The event also features arts and crafts, and children’s activities while offering a friendly and educational way to learn more about culture and traditions. The festival, which highlights recycled art, educates people about the importance of recycling and learning how to reuse what normally is cast-off as trash. The event features two art exhibits: the Recycle Art Exhibit, which features art by professional artists, and the Youth Recycle Art Exhibit, featuring work by West Valley children. Attendees can also enjoy food, informational booths, music and entertainment, kids’ arts and crafts and a fashion show finale. Fans of Arizona’s burgeoning booze scene will mix, mingle and make new friends while sampling dozens of diverse beverages fit for guests of all tastes, from the alcohol apprentice to the cocktail connoisseur. Try more than 150 sweet and savory cocktails from local distilleries. This year will feature a kornhole tournament, games and bands. his tasty two-day event celebrates the most popular condiment in the United States. 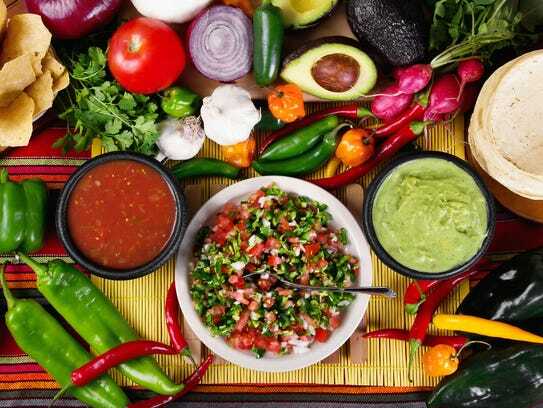 The salsa-themed celebration features more than 100 freshly made salsas that attendees are welcome to sample. Enjoy live music and a KidZone, vote for your favorite salsa chef, and wash down the chips and salsa with cold beer and margaritas. Details: April 14-15. 10 a.m.-6 p.m. Saturday and 10 a.m.-4 p.m. Sunday. Sloan Park, 2330 W. Rio Salado Parkway, Mesa. $15; $12 pre-sale until April 13; $55 VIP. Free for 12 and younger. Foodies will have a gastronomically great time at the Scottsdale Culinary Festival, the 40th anniversary of the event. Sample foods from dozens of restaurants, enjoy live music from more than 25 bands across four stages and enjoy the Family Zone for kids. Details: April 14-15. 12-9 p.m. Saturday and 12-6 p.m. Sunday. Scottsdale Civic Center Mall, 7380 E. Second St., Scottsdale. $15 at door and $12 online. $150 Saturday or $100 Sunday for VIP. $45 at door and $42 online for beer garden. Free for ages 12 and younger. Join azcentral.com and The Republic for a night of stories dedicated to the films and tunes that fill our souls with feeling. Celebrate Cajun culture and handcrafted beer. Featuring live jazz, blues and contemporary swing music, patrons of the event will feel as though they have gone to the southeastern region of Louisiana. Vendors will be on hand offering regional dishes, including crawfish boil, jambalaya, fried gator, red beans and rice and more. Attendees can also enjoy wing-, crawfish- and watermelon-eating competitions, a kids zone and Southern-style cocktails. Details: April 21-22. Noon-9 p.m. Dr. AJ Chandler Park, 178 E. Commonwealth Ave., Chandler. $10-$125 in advance; $15 at the gate. 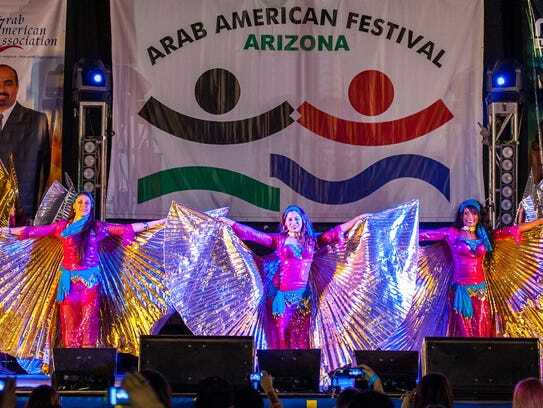 The Arab American Festival in Phoenix showcases the rich traditions and diversity of Arab-American cultures. The two-day event features more than 50 international musicians, performers and dancers, as well as authentic Middle Eastern fare, a hookah lounge, arts and crafts, kids’ rides and more. The festival features food, music, learning and family fun. Learn to be more sustainable in daily life while also enjoying prizes and giveaways, food trucks and entertainment. More than 100 vendors will offer a diverse array of vintage clothing, furniture, jewelry and more. Other highlights will include live music, giveaways and photo opportunities. Details: April 27-29. 5-9 p.m. Friday; early 8 a.m. Saturday; 9 a.m.-4 p.m. Saturday and Sunday. Ticket prices vary by day. $20-$50 online; $8-$65 at the gate. WestWorld of Scottsdale, 16601 N. Pima Road, Scottsdale. This event offers DIY workshops, cooking and baking workshops, massages, wine tastings, a nail bar, makeovers. The expo also features seminars on everything from health care to career development to personal growth.